As an entrepreneur obsessed with all matters of housing and home, and a Top Producing realtor, I can spread myself pretty thin consulting on development, design and renovation projects, mentoring my Student Internship program at HousePorn.ca, while leading my growing sales and marketing team. On top of these passions I'm also navigating through the first-time trials of filming a documentary on the transformation of a vintage corner store in Toronto's revitalizing Wallace Emerson neighbourhood (shhh, I haven't even announced this publicly yet as we're only a few months into the project). Fortunately, a long time ago just when I finished graduate school I read Stephen Covey's 'Seven Habits Of Highly Effective People' which, coached by some amazing mentors since, has allowed me to cultivate my passions into a successful business while leading an enriching quality life. This includes, for the most part, traveling frequently to both cultural centres and natural wonders around the globe to nurture a better understanding of both myself and the world at large. I know I'm lucky. I get to explore the world living my passions. Right now I'm exploring the Kingdom of Bhutan, a tiny country of 700,000 ensconced in the Himalayan Mountains, wrapped by Indian and China. I was last here in 1988. Now, 15 years later, I'm getting to witness this country's speedy transformation from an agrarian monastic society into an aspirational developing democracy. As a Canadian living in Toronto, the country's largest metropolis centre with a population 4 times that of Bhutan, the last time I was here I was enchanted by all the resplendent temples and stone palaces. 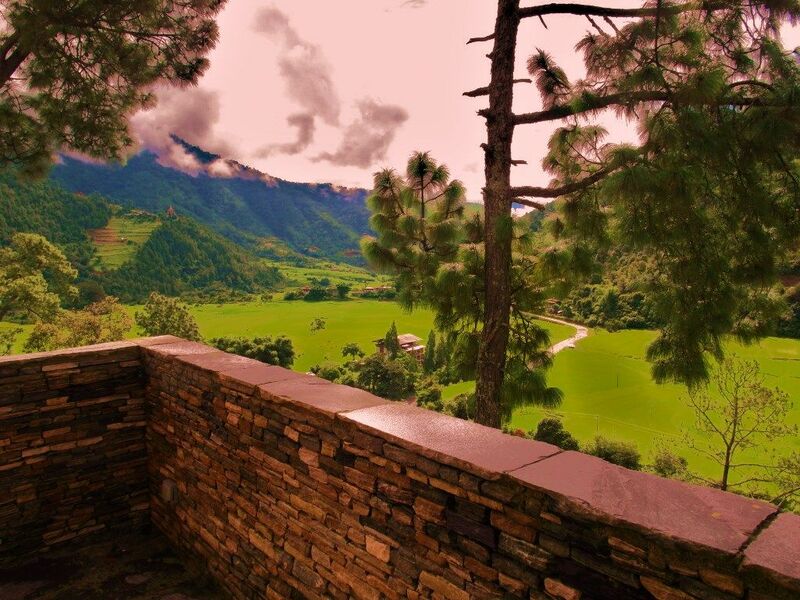 Bhutan has all the physical qualities that describe a fairy tale, but it's even better because it's a real Kingdom. Plus it has none of the freneticism endemic to our western urban environments. Such was the stark contrast in 1998, where Toronto, a young city not much over a century and a half old was in the throes of a development boom while Bhutan, an agrarian monarchy that has existed for over 2000 years was in its infancy embracing modernization. 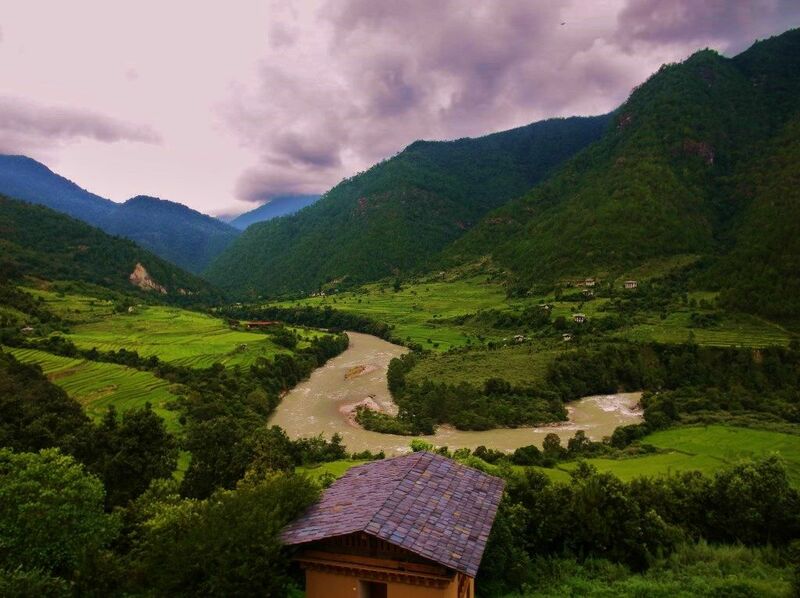 My first visit was predominantly visceral, coloured by the majesty of Bhutan's centuries-old Dzongs and Chortens amidst steep valley hills carved with golden rice fields, winding dirt roads and modest dwellings heated by wood stoves. I saw farmers tilling the soil, cows wandering aimlessly and women weaving gho's and kira's in the traditional style. Red-robed monks served the temples and secular services then, as they do now. During that magical visit, when 'time stood still', there were no phones, billboards, and only a handful of hotels. The biggest clue that Bhutan was adopting modernization was evidenced by its many well-poised English-speaking children, whom I met through my friend who works in the education field. Since that visit those children have since become part of a young highly educated cultural elite steering the "gross national happiness" index of a new democracy into a modern future. The urban centres have denisities exploding up and out, from one storey buildings then to mostly 5 floors high now. There are a loads of smoke-spewing vehicles, including 500 taxis, and western clothing is more the norm than not. While this transition between old and new is influenced by the same challenges endemic of any urbanizing culture, including the growing capitalistic desire for conspicuous consumption, the powerful commodifying influence of the commercial media, and the endorphin craving yearnings for instant gratification that accompany the subscription to smart phone technology and 'social media connectedness', despite all the opportunities and constraints in the quest for modern day living, Bhutan is navigating a future which lay rooted in the tradition of its past. As a housing expert, I admire how the country is committed to preserving its history while cultivating (and commodifying for tourism) its cultural aesthetic through architecture. Historically, Bhutanese architecture is rooted in the Sutra, the 2000 year old Buddhist scripts which outline - in its mandala - the particulars of scale, size and proportion in architecture, whether that be for a temple, palace, or dwellings within the local culture. 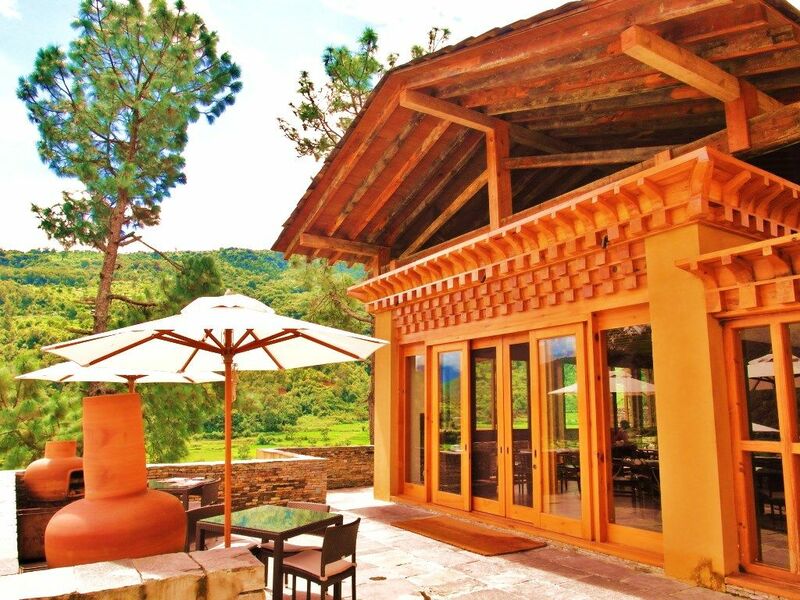 More recently, western educated Bhutanese architects and planners have been counseled by the monastic order to develop design guidelines which interpret and modify these teachings. This evolving set of policies both respect the cultural vernacular while incorporating modern day construction practices, building components and services. The objective is to cultivate a fluid language which represents and respects the traditions of built form while remaining open to new reinterpretation, including green and sustainable building technologies. In fact, the philosophical goal of Gross National Happiness is to promote a balance between cultural tradition and new ideas. If one can achieve ‘contentment’ in reconciling both dynamics, then happiness is achieved. 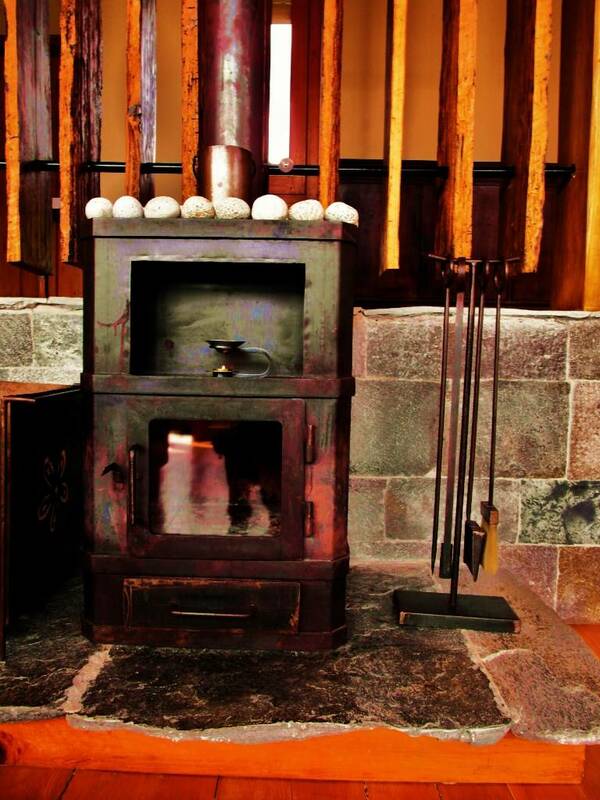 As a resident of a young country still defining its identity and vernacular, I experienced the harmony between old and new last week when I visited the Amankora Hotel in Thimphu. I applauded how well the structures responded to the site, the balance of timeless construction methods with modern day conveniences, and the celebration of the country's cultural vernacular as expressed in the built form. If you're interested, you can click HERE to read that post filled with architectural images. A few days ago I stayed an the Uma Hotel in Punakha - which is a three hour drive from Thimphu in a neighbouring valley (I experienced the nail-biting reality of driving up and over a mountain pass 6000 metres high under heavy cloud at night on a narrow road with minimal visibility - you have been forewarned). There I also experienced a soul-stirring connection between place and built form. 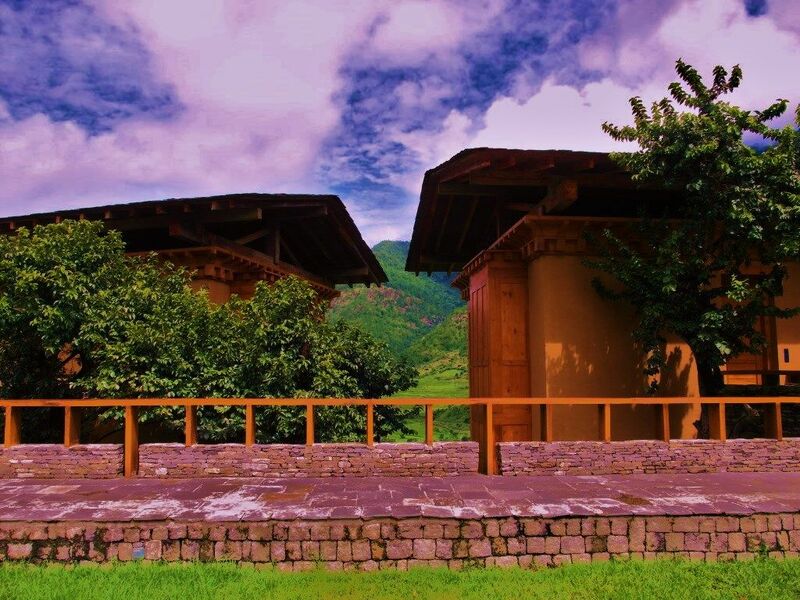 Like the Amankora, this hilltop hotel is centred around a courtyard wrapped by three structures containing accommodations (there are 11 rooms at around $500 per night each), a spa building and the main structure with the lounge, dining room and administrative offices. 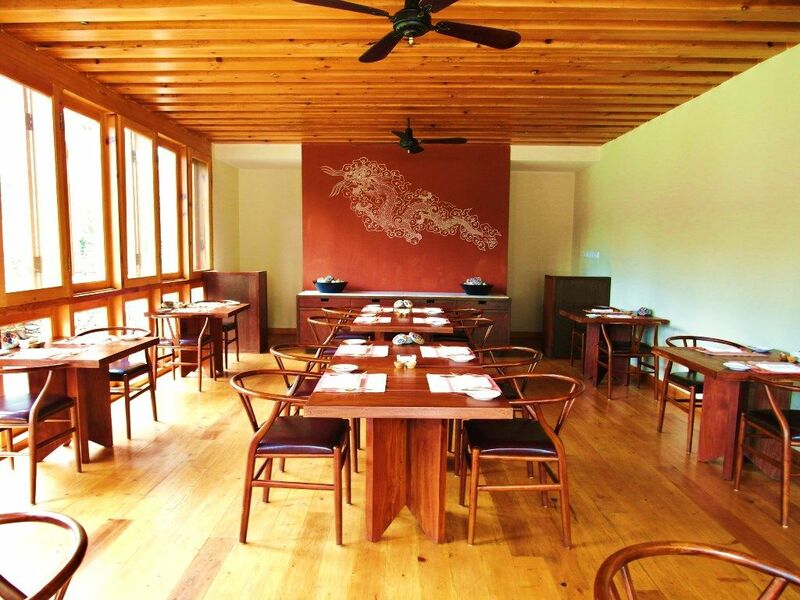 The interiors are well-crafted, authentically understated and oriented to celebrate the magnificence of the landscape. Beyond the 5-star services, the totality of the Uma environment keeps the power of the natural landscape, with all its healing properties and grounding force, present and in focus. 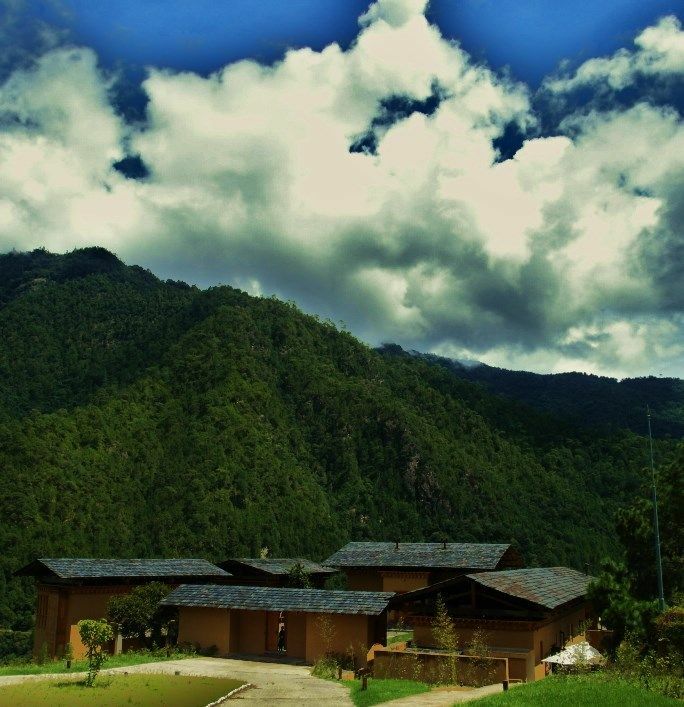 It's a place where you can't help but be mindful, and in awe, that you are in the heavens of Bhutan. Many well-seasoned travelers know the best experience happens when your accommodations reflect the culture you're exploring and its natural landscape. A property which respects its location while offering an aesthetically authentic 'total experience' is highly desired by we Zoomer adventurers. 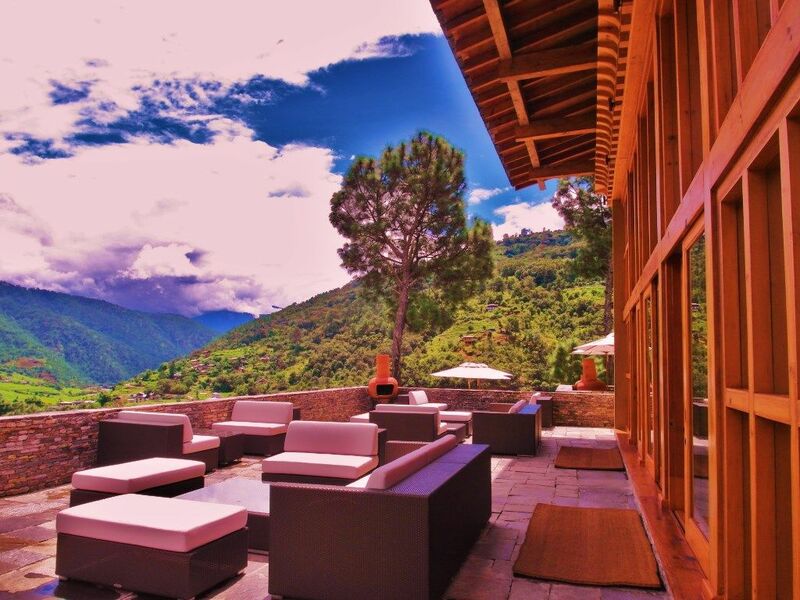 Although Bhutan issues visas requiring visitors to spend at least $250 per day, the upside is that it's attracted hoteliers willing to invest the sums to create masterful accommodations which serve those of us who are experiential. Yes it costs substantially more to construct beauty and detail, rather than the 'developer dreck' increasingly common in tourist destinations. 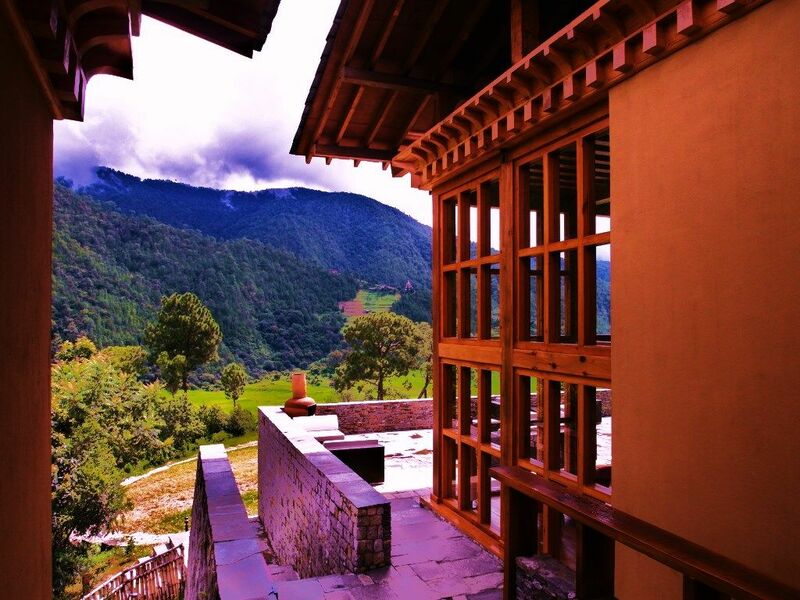 For that in itself, I applaud Bhutan's design guidelines which recognize the importance of place, space, and the user. 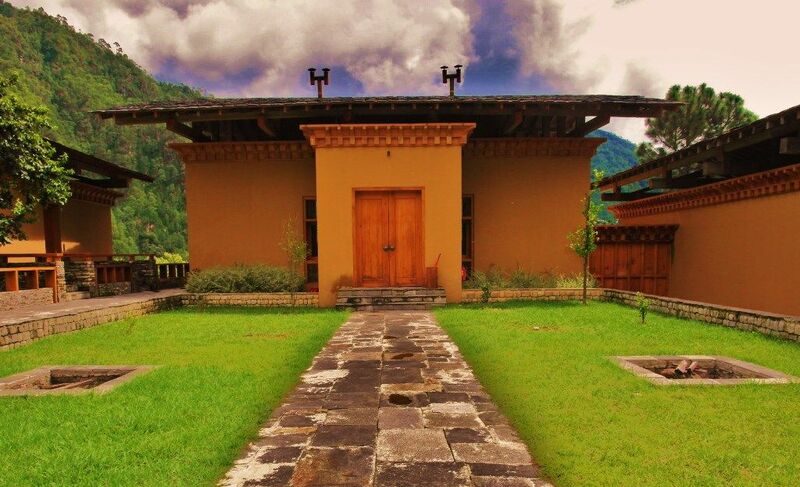 At the Uma Punakha, like the Amankora, these dwellings communicate essence and authenticity.